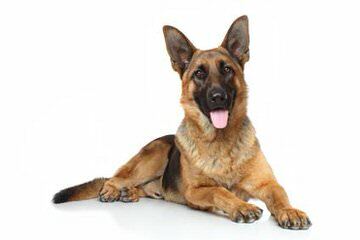 We are German Shepherd Breeders of Indiana.Our German Shepherd Kennel Est. 1984.Our paramount focus has always been to OFA Hip Certify and Manditory Bloodwork to test all internal organs are in normal ranges of our adult dogs that are very loved by us.I am a retired Vet. Tech with a major in genetics & a pedigree reseacher.We do not agree with inbreeding or close line breeding.Our Stud Dogs are Champions we Show in American Style Competition & German Style.Our 4 legged kids are our family .Our puppies are born & raised in our home not in a kennel situation,as we feel that for maximum socialization & Bonding it is a better way of life for them.Our German Shepherds Are of a more impressive larger type.Our Indiana German Shepherd Puppies are guaranteed nose to tail,Micro-chipped,Vet.Checked,Vaccination records up to date,Registered & leave from our home to yours with at least a 4 generation pedigree.We have dogs in every walk of life helping people, Family/Protection,Law Enforcement,Search & Rescue ect.Our Motto : Big Dogs To Do BIg Jobs.We do have puppies available at this time.